Do you feel your face is starting to show its age with fine lines, wrinkles, or other issues? Fortunately, there are various options such as IPL (intense pulsated light) therapy that can help you turn back the clock and reclaim younger, clearer looking skin. 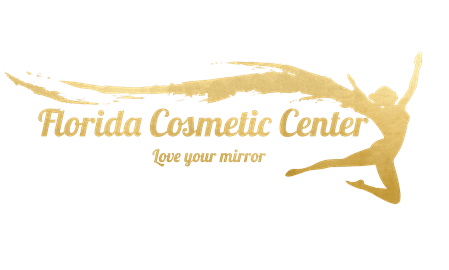 At Florida Cosmetic Center in Celebration, Florida, Dr. Arash Pasha and his highly-trained team offer a one-stop shop for a wide range of cutting-edge, nonsurgical cosmetic procedures. Personalized attention is coupled with top-of-the-line equipment at the nationally-recognized center for a first-class experience. A number of factors cause skin to age, ranging from things we cannot control like our genes to choices we make. Sun exposure plays a big role in skin damage. Smoking, drinking too much alcohol, and eating an unhealthy diet can also contribute. Even unexpected habits like repetitive facial expressions and using skin care products that burn or sting can result in an aging appearance. IPL therapy employs light energy to improve the skin's texture and appearance on a cellular level. It can be used for a variety of complaints from wrinkles and fine lines, age spots, and dark pigmentation to superficial scarring and acne, uneven texture and tone, and hair removal. Dr. Pasha provides a personalized treatment plan based on each patient's particular concerns and skin type. Then he customizes the intensity, duration, and spectral distribution of Cutera's Xeo® laser and light-based system for best results. IPL therapy is exceedingly versatile and is able to cover a large area of skin. Freckles, brown spots, broken capillaries, and rosacea can all show significant improvement as the light energy from the system targets excess pigment or skin irregularities and breaks it down into smaller parts. These pieces are then naturally absorbed and removed from the body. Skin can also appear rejuvenated, looking younger and tighter, following treatment due to collagen production being stimulated. Inflammation and redness can be reduced as IPL therapy constricts blood vessels. Even the whole face can be brightened and result in a younger appearance with IPL treatments for skin rejuvenation. Before the procedure, Dr. Pasha will go over the details, including asking about any skin conditions such as eczema or inflammatory acne that could affect healing. He may also make recommendations about activities to halt leading up to the treatment, such as tanning beds, waxing, and chemical peels, and medications to avoid like aspirin and ibuprofen, which could increase the risk of bleeding. Certain products that contain vitamin A or glycolic acid should be discontinued as well. On the day of the procedure, the area is cleaned then treated with a cool gel before light pulses are applied to the skin. Dark glasses should be worn for eye protection. Typically it takes 20 to 30 minutes, depending on the size and location being treated. The number of procedures needed for best results depends on the individual but often ranges from three to six spaced about one month apart to allow for healing. Hair removal may require more. With light that is less focused and more scattered than a laser, IPL goes to the second layer of the skin without hurting the top layer, thereby better protecting it. It can be used on any part of the body though may be less effective on uneven areas and light-colored hair. Often mild redness or swelling results, but lasts only a day or two. Typically people are able to resume their normal daily schedule after the procedure. If you're ready for clearer, younger looking skin, call or click to book an appointment with Dr. Pasha today.